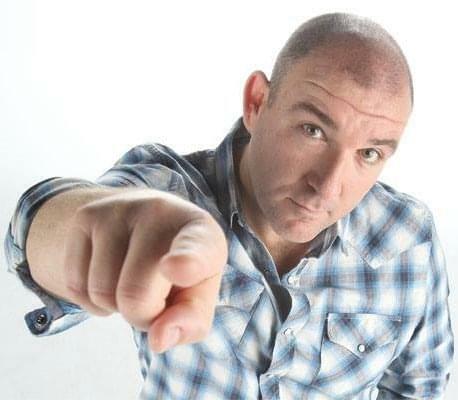 Clear your calendar, because on May 17th, 2019, you’ll be busy!!! Scotty McCreery burst onto the national music scene in 2011 at age 17, quickly establishing himself as one of country music’s hottest new stars. Now in his early twenties, the talented singer/songwriter has album sales approaching 3 million, and received both Platinum and Gold album certifications, debuted three consecutive albums at No. 1 on a Billboard chart, and achieved one Gold and three Platinum-certified singles as well as two Top Ten hits. McCreery has toured with Brad Paisley and Rascal Flatts, headlined his own tours, earned industry and fan accolades, and was named “Best American Idol” by the readers of The Los Angeles Times and “Country Music’s Sexiest Man” by the readers of NASH Country Weekly Magazine. 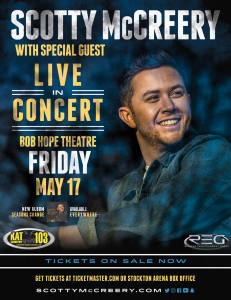 And now, he’s coming to Kat Country, Friday May 17th, 2019 Scotty will be at the Bob Hope Theater. Pre Sale tickets will be live starting at 10am Tuesday March 19th, 2019 until Wednesday March 20th, 2019 until 10pm.